At Big Hearts Little Hands Childcare and Early Learning Center, our mission is to provide a solid foundation that ensures your child will reach his or her full potential and is ready for school and ready for life. 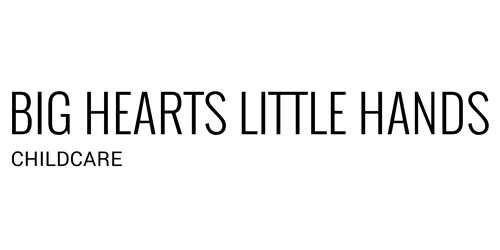 At Big Hearts Little Hands Childcare and Early Learning Center, our mission is to provide a solid foundation that ensures your child will reach his or her full potential and is ready for school and ready for life. We treat children of all races, religions, family backgrounds, and cultures with equal respect and consideration. Big H Little H nursery provides a very soothing and nurturing environment. We maintain a small teacher to infant ratio in this class. Big H Little H toddler classroom has a very stimulating and nurturing environment. In the toddler class there is constancy. "My son goes here and loves it! I was very nervous about my one year old starting daycare. We were one of the first families at the center and I've enjoyed watching my son learn so much while starting. The price is great and the owners are super friendly. The center is clean and his teachers are very sweet and caring to him! I would highly recommend them!"